On March 20, 2019, the Supreme Court’s unanimous decision in Obduskey v. McCarthy & Holthus L.L.P. examined liability for violations of the Fair Debt Collection Practices Act (FDCPA) that are committed in non-judicial foreclosures. This article considers which FDCPA claims arising from foreclosures are viable post-Obduskey. 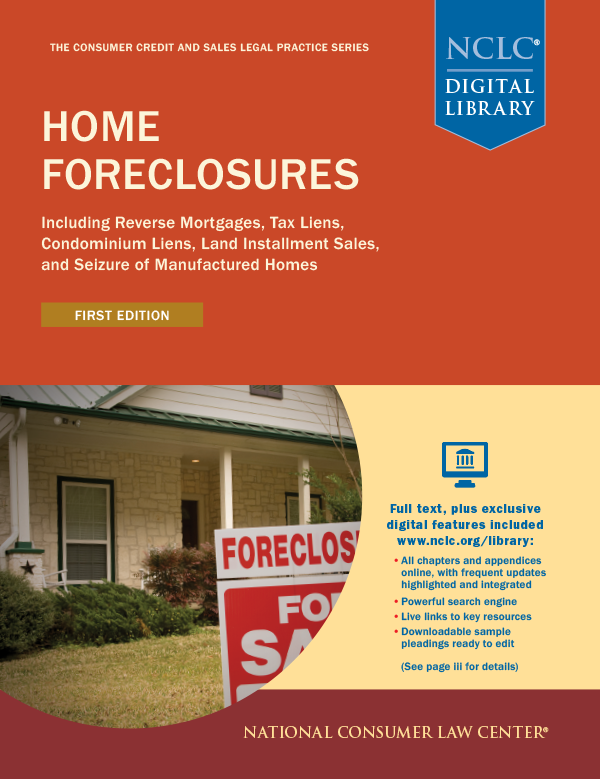 • Entities engaged in judicial foreclosure. The law firm McCarthy & Holthus L.L.P. (McCarthy) sent Dennis Obduskey (Obduskey) a letter saying that it had been instructed to commence foreclosure against Obduskey’s home in Colorado. This letter stated the amount owed and identified the creditor. It also stated that the law firm “MAY BE CONSIDERED A DEBT COLLECTOR” and provided a written verification notice as required by 15 U.S.C. § 1692g(a) of the FDCPA. Obduskey sent McCarthy a letter disputing the debt. McCarthy initiated the non-judicial foreclosure against Obduskey’s home. Obduskey filed a lawsuit that, among other claims, alleged that McCarthy violated 15 U.S.C. § 1692g(b) of the FDCPA by proceeding with the foreclosure without first verifying his debt. The trial court dismissed this claim, and the Tenth Circuit affirmed before the Supreme Court granted certiorari. The term "debt collector" means any person who uses any instrumentality of interstate commerce or the mails in any business the principal purpose of which is the collection of any debts, or who regularly collects or attempts to collect, directly or indirectly, debts owed or due or asserted to be owed or due another. Section 1692f(6) in turn states that an example of an unfair act that violates § 1692f is “[t]aking or threatening to take any nonjudicial action to effect dispossession or disablement of property” under specified circumstances. As an initial matter, the Court acknowledged that “if the FDCPA contained only the primary definition, a business engaged in nonjudicial foreclosure proceedings would qualify as a debt collector for all purposes.” The Court explained that, at a minimum, non-judicial foreclosures represent an indirect attempt to collect a debt sufficient to satisfy the “regularly collects or attempts to collect, directly or indirectly, debts owed or due or asserted to be owed or due another” prong of the definition. 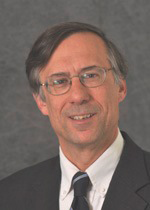 However, the Court held that the limited-purpose definition in the third sentence of § 1692a(6)—enforcing security interests—presented an “insurmountable” obstacle to that coverage because “the word ‘also,’ strongly suggests that one who does no more than enforce security interests does not fall within the scope of the general definition.” Thus, the Court concluded that the third sentence of the definition “narrows the primary definition” resulting in coverage under only § 1692f(6) for entities that fall within the limited-purpose definition of debt collector. In addition to its textual analysis, the Court also cited two additional reasons for its holding that “McCarthy is not subject to the main coverage of the Act.” First, it speculated that Congress may have chosen to treat security interest differently to avoid any conflicts with state laws. However, the Court seemed to quickly undercut the force of that argument by acknowledging that “it may be possible to resolve these conflicts without great harm to either the Act or state foreclosure schemes.” Second, the decision cited to legislative history of the FDCPA as evidence of a legislative compromise regarding coverage for security-interest enforcers. This provision is examined in detail at NCLC’s Fair Debt Collection § 8.7. The Supreme Court’s narrow analysis means that entities engaging in non-judicial foreclosures are not exempt from coverage under the broader provisions of the FDCPA as a whole unless non-judicial enforcement of security interests is the principal purpose of their business and the actions at issue are requirements to conduct a non-judicial foreclosure under state law. Since the Supreme Court clearly stated that entities engaged in non-judicial foreclosure would be covered under the primary definition but for the limited-purpose definition, these other entities will still be covered if they fall outside of the limited-purpose definition. One obvious way to fall outside of the limited-purpose definition is when the business’ principal purpose is not the enforcement of security interests; in that event, the collector’s activities will be covered if they meet the primary definition. As the Supreme Court explains, a business can qualify as a debt collector under the primary definition because it collects unsecured credit card debts and meets the “regularly collects” definition of debt collector and is covered under the FDCPA for all purposes. The fact that such a debt collector also enforces security interests would not limit its coverage to § 1692f(6). Another example of an entity whose principal purpose might not be the enforcement of security interests is a law firm that engages in both judicial and non-judicial foreclosure work, especially if the judicial foreclosures involve claims for deficiencies. Discovery showing that a foreclosure firm spends a substantial portion of its time in activities that are not required to comply with a state’s non-judicial foreclosure statute could also lead to a conclusion that the entity’s principal purpose is not security enforcement. Similarly, a mortgage servicer that obtains debts in default usually continues to service the loans, and its principal purpose is therefore unlikely to be simply enforcing the security interest. [T]he Act’s (partial) exclusion of “the enforcement of security interests” must also exclude the legal means required to do so. This is not to suggest that pursuing nonjudicial foreclosure is a license to engage in abusive debt collection practices like repetitive nighttime phone calls; enforcing a security interest does not grant an actor blanket immunity from the Act. Here the Supreme Court assumed that the letter at issue was required by state law, but in future actions the critical determination will be whether conduct was in fact required by state law governing the enforcement of security interests. Engaging in conduct that is not required will mean that the debt collector is no longer simply engaging in the enforcement of security interest, meaning that the debt collector is covered under the FDCPA for all purposes. More importantly, if the law firm’s actions violate state law, the firm will be hard pressed to argue that its actions were required by the law. Foreclosures in derogation of notice requirements or in violation of laws mandating loss mitigation reviews should not be shielded. Because the Colorado foreclosure procedures at issue in this decision allowed for deficiency judgments, some debt collectors may attempt to argue that the decision in Obduskey should apply in judicial foreclosure states as well. However, unlike non-judicial foreclosures, judicial foreclosure judgments typically have a direct effect on the deficiency claim by conclusively establishing the amount of the monetary debt the borrower owes. Moreover, if only the limited-purpose definition applied to entities engaged in judicial foreclosures, that would effectively exempt them from the FDCPA entirely because § 1692f(6) applies to “[t]aking or threatening to take any nonjudicial action” (emphasis added). Justice Sotomayor’s concurring opinion invites Congress to weigh in to clarify its intent. A simple amendment to the final sentence of the FDCPA’s definition of “debt collector” to clarify that the term does not exclude those who conduct non-judicial foreclosure of home mortgages would fix the problem. Such Congressional action would provide needed protections for homeowners.